IndiGo's first A320neo. MSN6799. VT-ITC. Photo courtesy the airline. 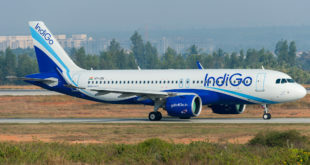 India’s largest domestic airline Indigo, has taken delivery of the first of its ordered 430 Airbus A320neo (new engine option) at Toulouse, France, today. 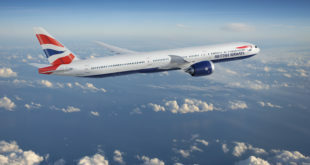 The airline accepted the airframe, MSN 6799 (manufacturer’s serial number) at 1212Z which is 17:42 Indian Standard Time. The aircraft will be registered VT-ITC. Its sisters VT-ITA and VT-ITB will join the fleet later. VT-ITC will be the 103rd A320 in IndiGo’s all A320 fleet and is expected to have 186 or 189 seats. The older A320s seat 180. The delivery makes IndiGo the second airline globally, and the first in Asia to operate this new aircraft type. Lufthansa became the launch customer, after original launch customer Qatar Airways refused delivery of their aircraft which are powered by the Pratt & Whitney PurePower PW1100G geared turbo fan engine. A complex and fuel efficient design that has some issues which caused the delay in delivery which was supposed to initially occur around the new years time frame. 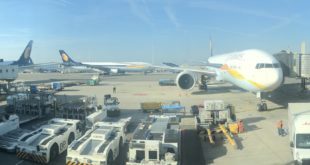 IndiGo’s neos are powered by the same Pratt PW1100G engine though the engine manufacturer has already commenced installing software upgrades to address the issue. The much larger diameter engines on IndiGo’s first A320neo. MSN6799. VT-ITC. Photo courtesy the airline. The neos are expected to be 15%-20% more fuel efficient and have longer flying range than the A320ceo (classic engine option). As Airbus names the subtype models by engine, IndiGo’s neos will be A320-271N and the ceos will be A320-232. 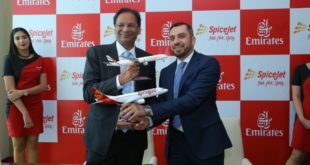 VT-ITC will use the longer range capabilities of the neo and fly the aircraft non-stop to New Delhi bypassing the traditional intermediate stop in Turkey that the older type ceos needed. The new plane is expected to arrive at New Delhi’s IGI airport tomorrow March 11. GoAir is the other Indian carrier which has 72 A320neos on order. Vistara and Air India will get neos through leasing companies in due course. We will be publishing a detailed analysis of the A320neo induction plan IndiGo and the other Indian carriers could follow. Stay tuned to Bangalore Aviation for more. 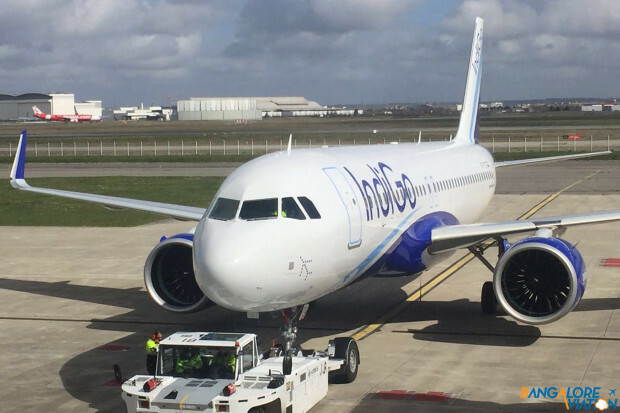 Next Analysis: How will IndiGo integrate the Airbus A320neo?